Wanting to use the wok while it’s out, checking on the seasoning job. It worked pretty well. I expect it will get better with use. These are sliced from a flat iron steak and were marinated in sesame oil and chili garlic paste. 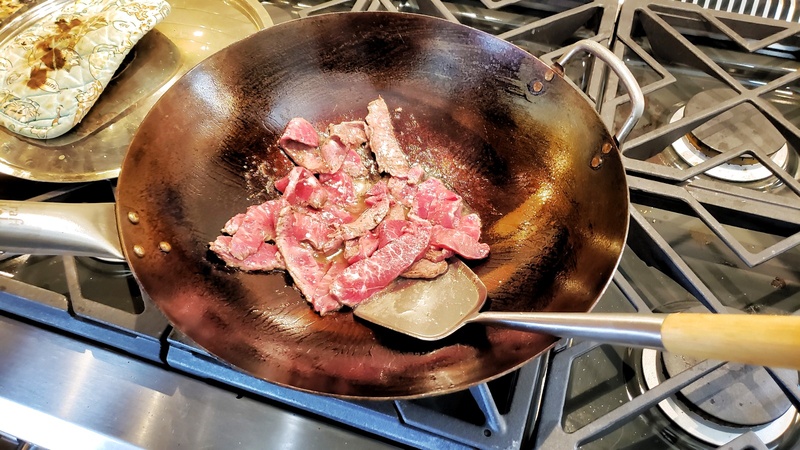 Set the cooked beef aside and add more oil to the pan. 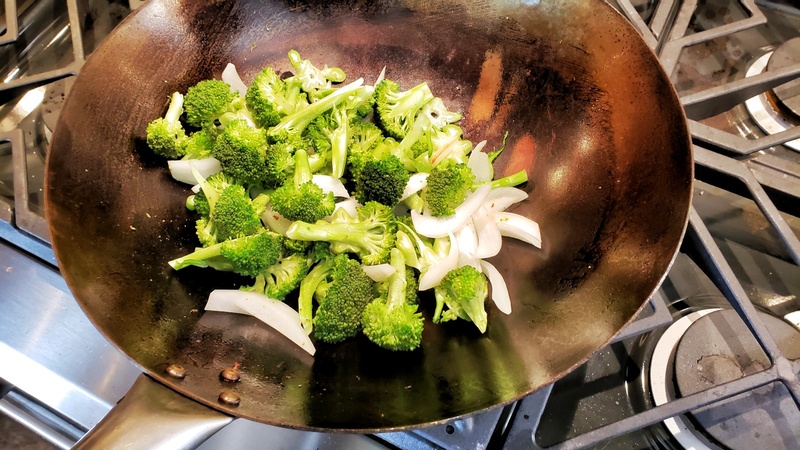 I added the cut broccoli with some onion, added a splash of water, and covered for four minutes. 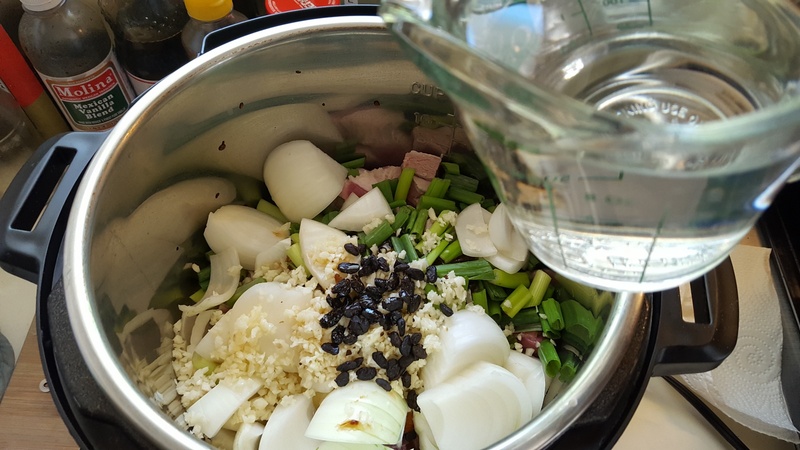 Stir it once or twice and add more water, a little at a time as it boils off and steams the veggies. Add back the beef and let it heat through. 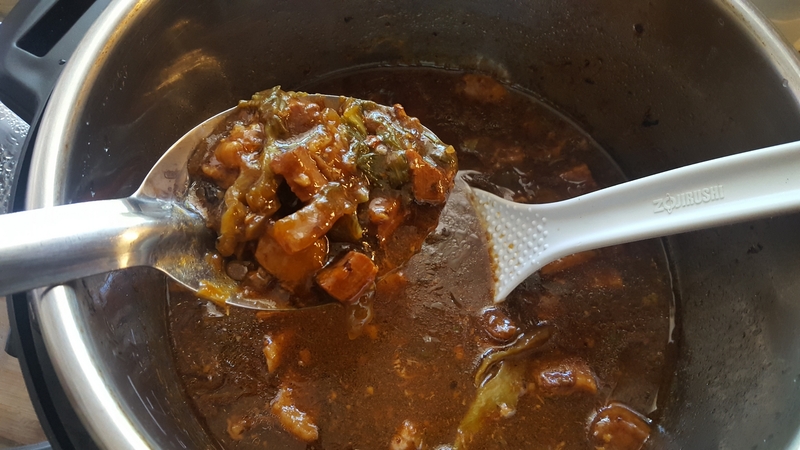 I made a sauce of chicken broth and soy sauce, sesame oil, minced ginger and garlic, a couple of slugs of Chinese cooking wine, a spoonful of chili garlic paste, and enough cornstarch to thicken it when added. When the beef and veggies are cooked pour the sauce and stir until it thickens. 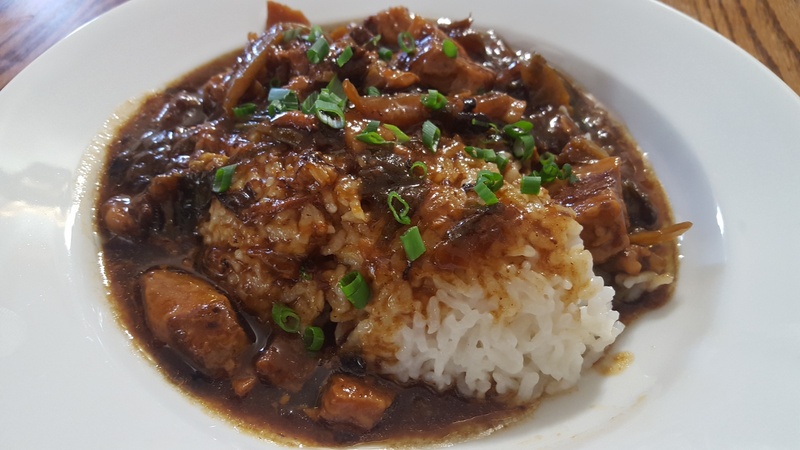 Serve over rice and garnish with sesame seeds and green onions. 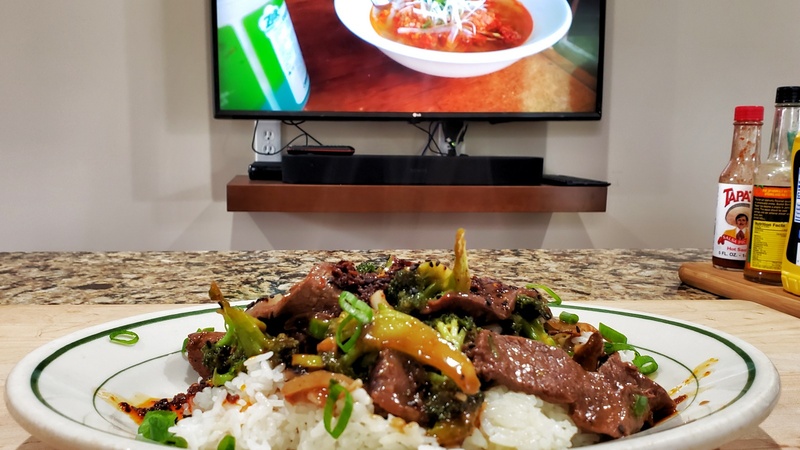 Combining my hobbies – cooking, eating, and watching cooking and eating videos. Doesn’t roll off the tongue like sticky wings but they are pretty good. I noticed that the drumsticks were cheaper than wings so I said “why not”? They got the two-step treatment, steaming then baking in the sauce. They spent 20 minutes in the steamer then I managed to crowd the entire batch into one pan with the sauce. These baked at 425 for 25 minutes then were turned over to get color on the other side. 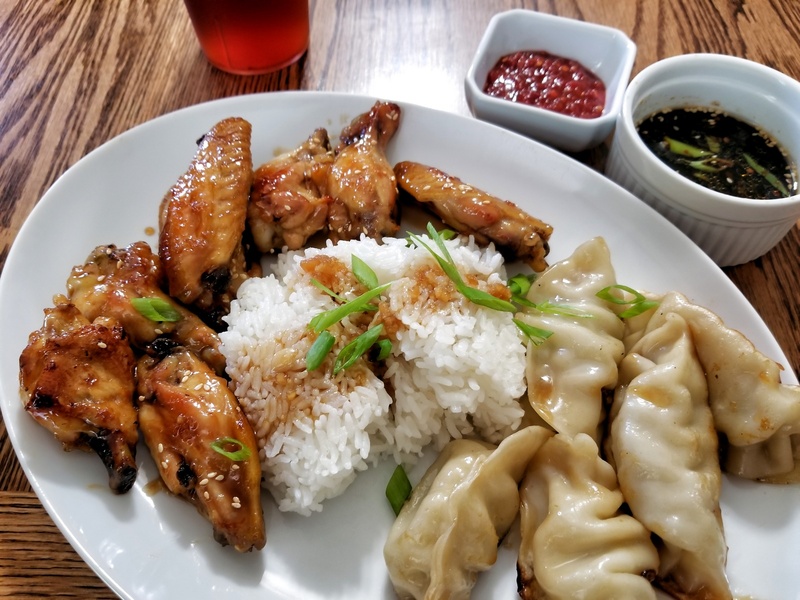 The sauce for these was me winging it: Honey, soy sauce, black vinegar, sesame oil, sweet soy sauce, rice vinegar, fresh grated ginger, and chili garlic paste. We bought a big bag of green beans and had a few of them stir fried like those in a Chinese buffet line. Cook, covered, in oil and a splash of water for 5 minutes, then add oyster sauce, soy sauce, and a teaspoon of sugar and toss to coat. There will be no measurements. 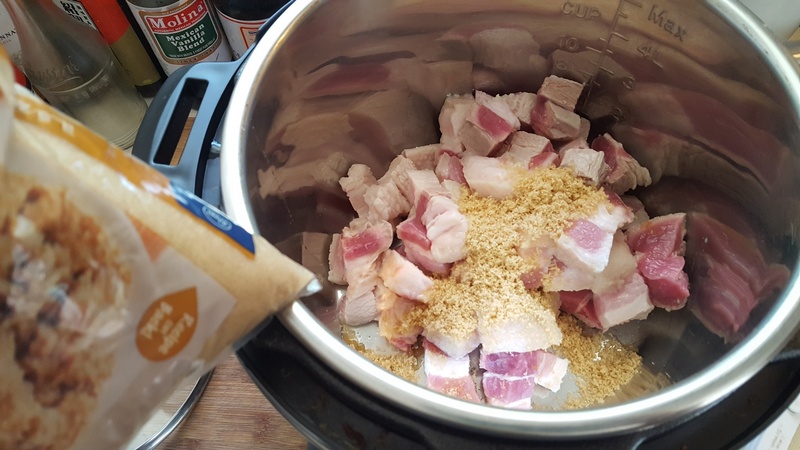 I used about 1-1/2 pounds of pork belly cut into one inch cubes and pretty much eye-balled the rest of it, I started the video from the top and added the ingredients in the same order as the TV chef, a Jamaican with Chinese ancestry. His answers, when prompted for amounts by the host, were either “this much” or “that much there”. The chef was asked how long will this simmer on your stove-top, but I couldn’t make out his reply. I think he said “till it’s done”. 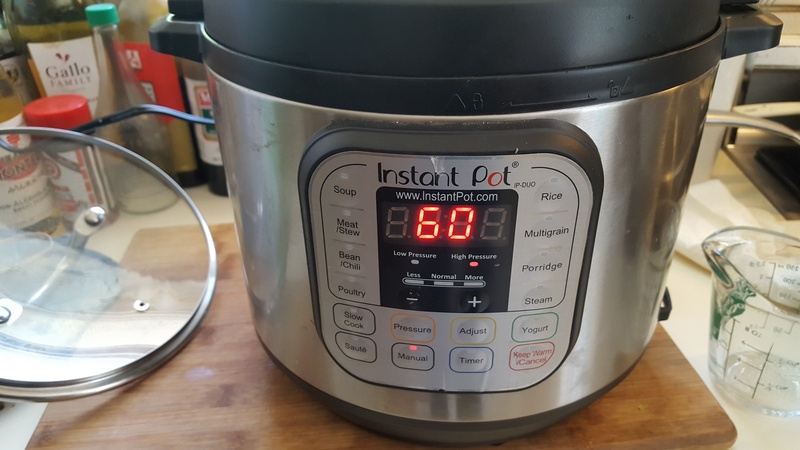 I was going to be making it in the Instapot pressure cooker so I set it for an hour. The mustard green were added after the pork belly had cooked down.These came from the International Grocery, a store in a nearby college town. I was pretty sure they would have them, but I looked in the canned veggie section to no avail. I asked for help. 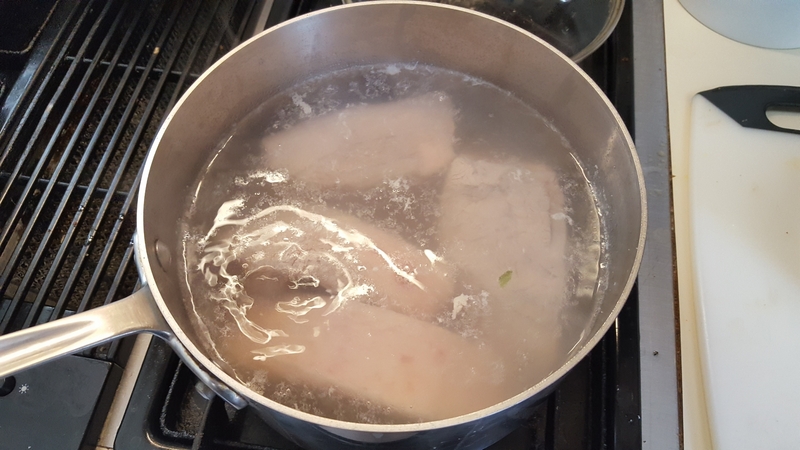 The store clerk went right to them, they are in sealed plastic bags, he mentioned that they were very sour and needed a good soaking with changes of water so I started the soak the first thing. I also picked up the mushroom soy sauce and the black bean ingredients while there. Handy store! Chop the greens and add them to the pot after it cools down enough to open. I also thickened this the same way as the chef – a slurry of corn starch. When I make this again I will back off on the on the added water. The TV show was “Diners, Drive-ins, and Dives on the food network. The info for the episode said it was from season 4, episode 6, first aired 09/05/08. Alas, a search of the Food Network’s web page didn’t yield agreement, it says the the episode “A Taste of Everywhere” was from season 4, episode 7. Clicking on that episode link was no help in finding the recipe. 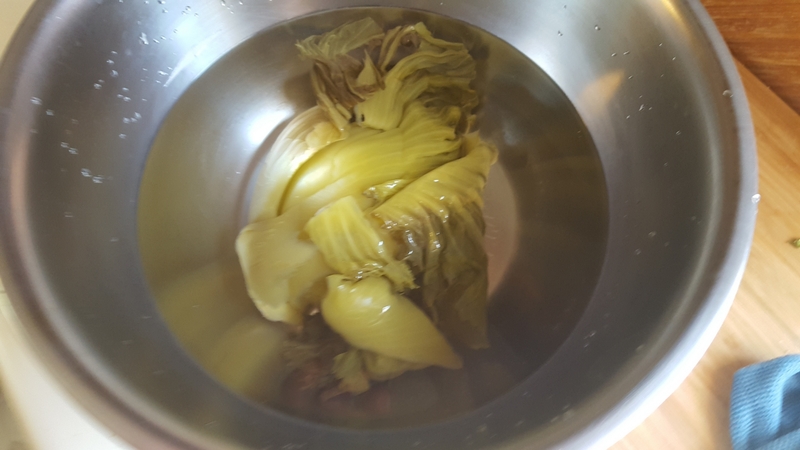 Next time I’ll cube it first and boil it a little longer, that should reduce the fat a little in the end result. There was a variation of this at the Chinese buffet we frequent. It was pretty tasty but I didn’t know what to call it and so asked the woman tending the counter. She named it Coconut Shrimp. I’ve seen the version of it that has battered shrimp coated with shredded coconut for deep frying but not this creamy version. 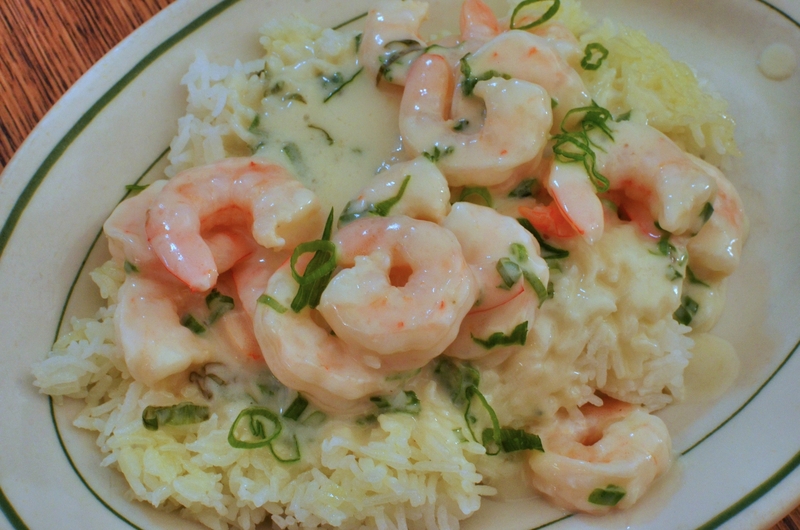 A search for “creamy coconut shrimp” found several recipes – after discarding several that mentioned mayonnaise I settled on this one. I didn’t have amaretto and didn’t want to buy a bottle for the two tablespoons the recipe called for so I subbed in a little almond extract, adding a teaspoon to the coconut sauce mixture. In another departure I used cooked shrimp instead of raw. These two things were bad calls in retrospect. The dish really needed that bit a caramelization from cooking in the amaretto. That said, it was still an enjoyable meal. I was browsing among various recipes for green beans and noticed a call for Chinese five spice in one of them and wondered if I had the ingredients to make my own. Yes! – or at least close enough for my purposes. 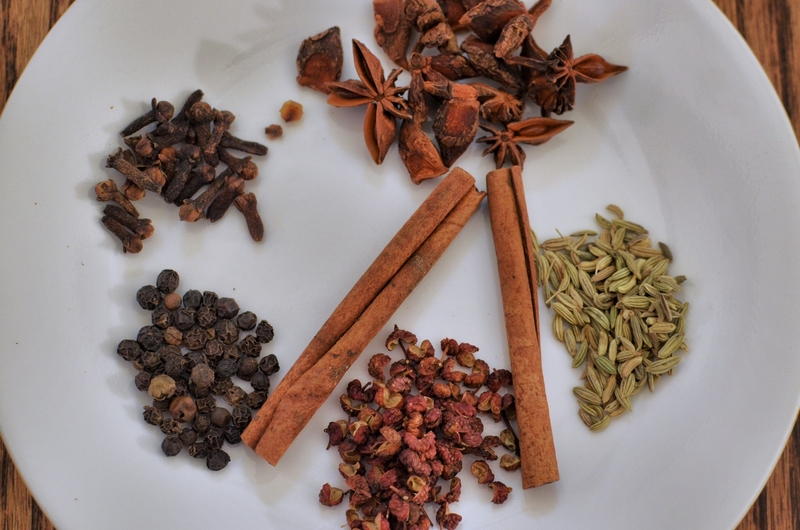 I looked over several recipes and they all had the same ingredients with a few variations: Star anise, fennel seeds, cinnamon, cloves, and peppercorns. Some used Szechuan peppercorns and others called for the more familiar black peppercorns, one recipe used cassia bark in lieu of the cinnamon, there were differences in the ratios so I just eyeballed mine as I loaded them into my little spice grinder. I ended up with about a quarter cup of some great smelling stuff. Those are the Szechuan peppercorns between the cinnamon sticks. They have an interesting effect in the mouth, some heat and a numbing sensation on the lips. Another name for them is prickly ash seed. 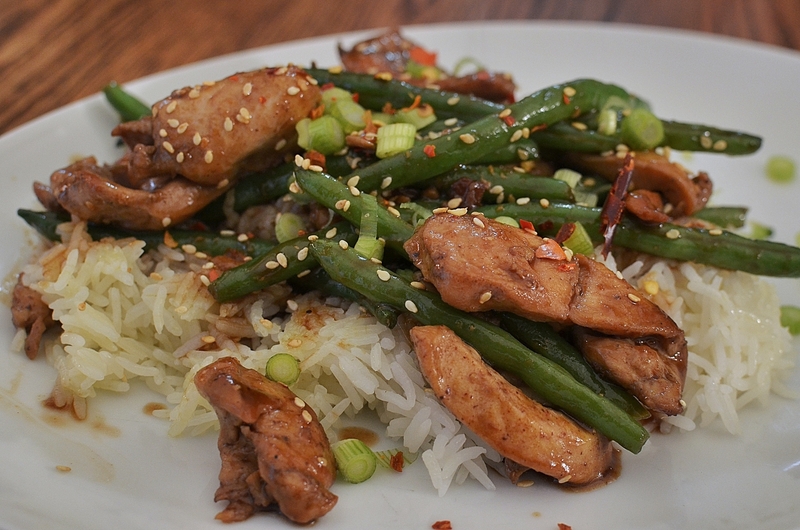 After all of that, I used about a teaspoon of the spice powder in the soy sauce marinade of the chicken for the green bean dish pictured above. 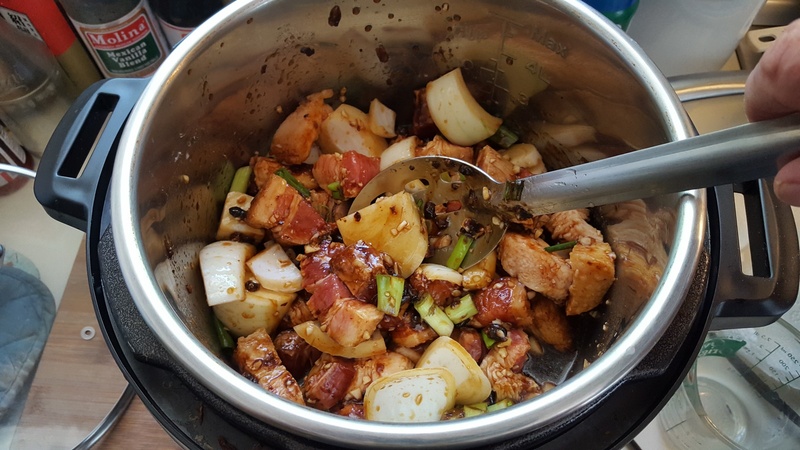 That was a simple enough recipe, the most prep went into the sauce: 1/2 cup soy sauce, 1/2 cup chicken stock, a tablespoon of sesame oil, a tablespoon of ginger garlic paste, a tablespoon of honey, and a tablespoon of rice vinegar with a little corn starch to thicken it in the pan. I steamed the beans for five minutes while the chicken was cooking then added them to the pan with the chicken and then poured in the sauce and cooked until it thickened, a few more minutes. We were pleased with how well this worked for us this time. The chicken pieces had just a little crunch from the corn starch and flour in the marinade/batter. I’m happy that I didn’t toss the sauce with the chicken before plating them. 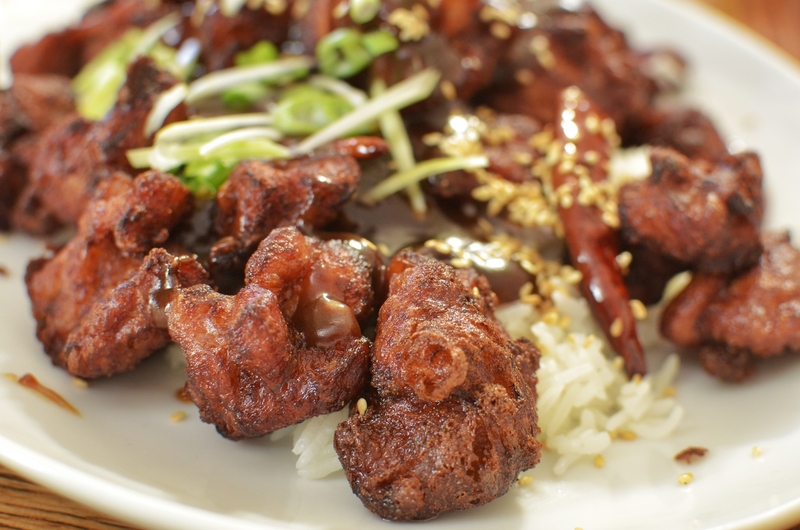 I used boneless, skinless thighs for this dish today, cut into 1 inch pieces, but breast meat would be the usual. I’m fairly sure I’ve fixed this before with bone in thighs and chopped the chicken into smaller pieces with a cleaver. 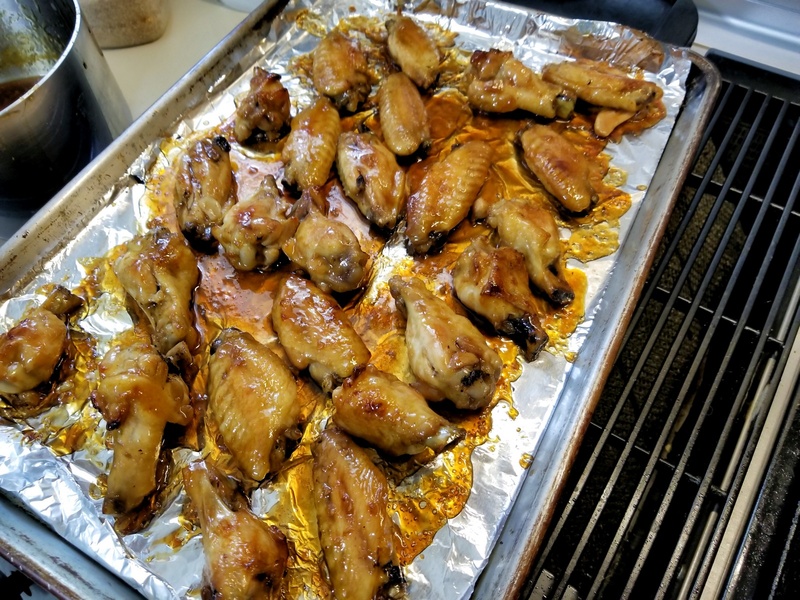 I have just about convinced myself to use this same recipe for chicken wings. Mix the marinade and stir into the chicken, refrigerate for at least 1/2 hour. Mix the sauce in a small sauce pan and bring to a simmer. Mine got too thick so I cut it with a little water. 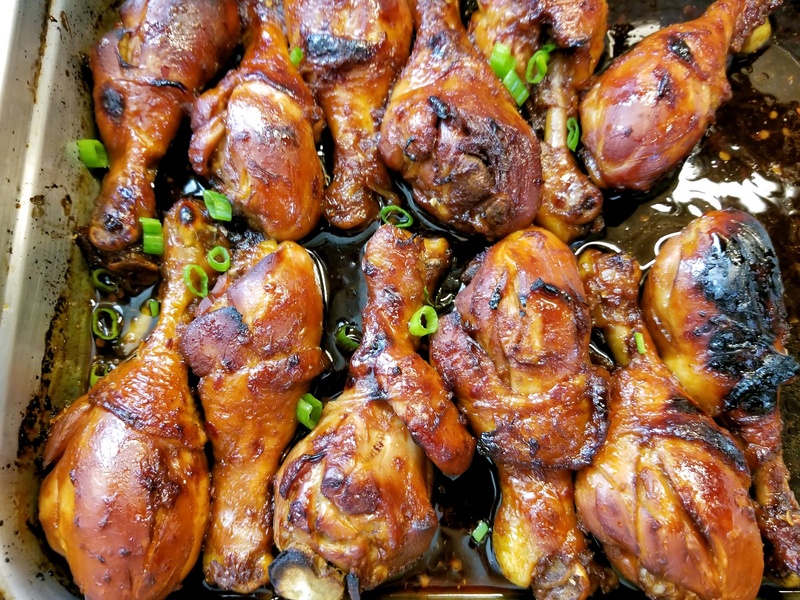 Fry the chicken in enough oil to cover, in small batches to keep from cooling the oil too far, and remove to drain on a warming rack. 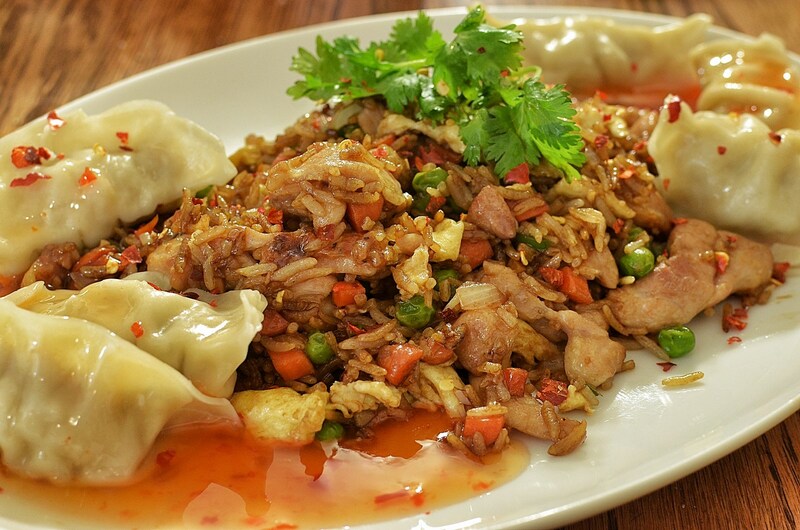 Serve over rice, garnish with green onions and toasted sesame seeds. I tossed the dried chilies in the hot oil for a bit and added them as garnish as well.